Twice the movie enjoyment in half the time. L.B. Williams keeps a vigil in My Nephew Emmett. We've covered most of this year's Academy Award-contending features in previous reviews, but there's still some important "homework" to do for film nerds in search of unheralded wonders. "Oscar Nominated Short Films 2018," opening this week at Landmark's Shattuck, gangs together a thoughtfully selected clutch of shorts in two categories: Animation and Live Action. Jakob Schuh and Jan Lachauer's UK-produced animation Revolting Rhymes — based on a book by Roald Dahl, with illustration by Quentin Blake — takes a "fractured fairy tales" approach. A wolf in an overcoat drops into a cafe for an ominous conversation with an elderly babysitter, and essentially retells the Little Red Riding Hood and Snow White stories in rhymed couplets, with offbeat modern themes. The Seven Dwarfs are jockeys, there's a pig banker, and Snow White is a fully empowered blonde. The other toons in the program include a tribute to Los Angeles Lakers basketball star Kobe Bryant (Dear Basketball); a whimsical "How to Pack a Suitcase" remembrance (Negative Space); and the adventures of an anthropomorphic hoodie and his pals from a playground lost-and-found box (Lou). But the pick of the litter is the noirish Garden Party, in which a yard full of frogs of all sizes explores a neglected-looking house, munching party debris and finding trouble. Great sight gags and superb artwork. The Live Action nominees are even better. In writer-director Reed Van Dyk's 20-minute DeKalb Elementary, an agitated teenager (Bo Mitchell) wanders into a school office armed with an assault rifle, and it's up to the quick-witted receptionist (Tarra Riggs) to talk him down. Sweaty-palm suspense. The sensitive British character study The Silent Child observes the interaction of a pre-school-age deaf girl with her social worker caregiver, courtesy director Chris Overton and writer Rachel Shenton. The Australian short The Eleven O'Clock has definite Monty Python overtones, as a psychiatrist's patient tries to usurp control of his office visit by claiming that he is the psychiatrist. Which shrink is the real one? Only director Derin Seale and writer Josh Lawson know for sure. Leading the Live Action field are a pair of hard-hitting mini-dramas about troubled times and places. Katja Benrath and Tobias Rosen's Kenyan/German production Watu Wote/All of Us takes us on a bus ride along the Kenya-Somalia border in East Africa, where a young woman gets caught up in Muslim-Christian strife, in the midst of a holdup by terrorist bandits. 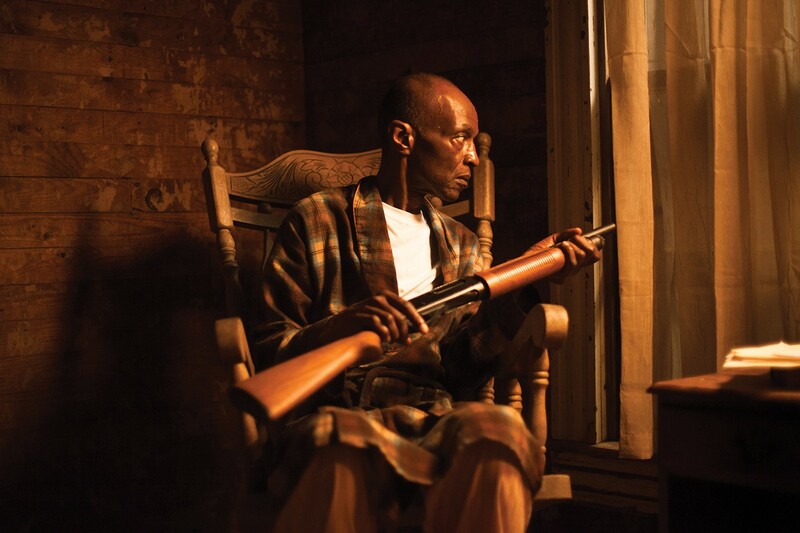 My Nephew Emmett, the very best film in the roundup, packs a feature-film's worth of tension into the true story of a Mississippi Black man named Mose Wright (L.B. Williams), whose nephew (Joshua Wright) is visiting from Chicago, circa 1955. Somewhere along the line, it is reported that the nephew, Emmett Till Jr., whistled at a white woman while he was in town. Late that night, a carful of vengeful white racists comes calling. The writing and direction, by Kevin Wilson Jr., is as urgent and angry as any of the recent big-screen indictments of America's troubled history of racial violence. If Wilson's short were any longer it would have been unbearably heartbreaking. The Animation and Live Action programs are presented separately, with separate admissions. For more info, go to: LandmarkTheatres.com. The Academy Awards are broadcast live on ABC, Sunday, Mar. 4. Live action and animated. Opens Friday.